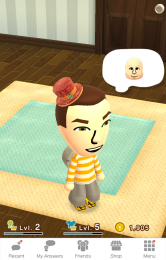 There’s more direct interaction in that you can like and comment on your friends’ answers, which can be tracked through a menu rather than via your Mii, resulting in something resembling a more normal conversation thread. All this question and answer nonsense is curiously moreish. It’s hard to know where to pitch your own answers, and in my experience at least people are still trying to work it out: there’s a bizarre mix of jokes, the inane truth, a lot of dark humour intentionally subverting the medium, and some almost confessional answers. All spoken in the voice chosen by the Mii’s owner. And yes, surprisingly, they will say swear words. But be warned: Nintendo are clearly targetting a young audience with Miitomo, so I was constantly reminded that I am very, very old. “If you were to have a new brother or sister, what kind of brother or sister would you like?” A medical miracle, I guess. 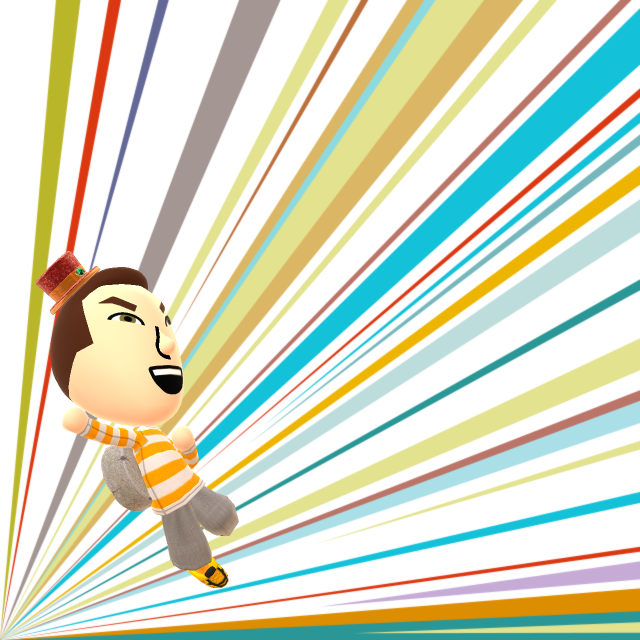 The other main distraction is dressing your Mii and taking photos. There’s a shop for clothes, of course, and naturally you can earn or buy the currency; incidentally, I haven’t remotely felt the need to spend any money. There’s also a little game, along the lines of pachinko, where you can win special clothes – bakery or cat themed, for example. You could waste a lot of time taking photos of your Mii – and your friends’ Miis. The Miis can be moved, resized and rotated, and their expressions and poses changed. Any photo on your device can be used as a background, which creates limitless possibilities – many of which are on Twitter. So Miitomo is definitely an intriguing little doohickey. The question is how long it will hold people’s attention, and to what extent Nintendo and DeNA actively support it. As such, if you’re intrigued, it’s probably worth getting involved now.